If this is your first time traveling outside the United States, there are a few things you need to know before you embark on your trip. For one thing, a passport is required to travel outside the country, even if you are traveling to Mexico or Canada. You also need to know if a visa is required too. Places like Australia require a tourist visa in order for you to enter their country. Their travel visas can be obtained electronically for a low fee. Another thing that you need to be aware of is the immunization requirements that may be needed. Australia doesn't require them but will recommend certain ones if you haven't had them done. Of special concern are mosquitoes that can carry diseases like the Ross River virus and the Murray Valley encephalitis. They recommend carrying a mosquito repellant. Check with your health insurance to see if they will cover you in a foreign country. If there is no coverage, you may seriously want to obtain travel insurance just to be on the safe side. If you should happen to have an accident while abroad and don't have coverage, you are expected to pay for your medical costs upfront and with cash or a credit card. You also need to be aware of what you can bring into the country as you will have to declare items in customs. Firearms, drugs, fruit, vegetables, wildlife and plant life are examples of things that are usually not allowed into a country. You will have to declare any prescription drugs, herbal and vitamin supplements. A doctor's note may also be required. Baggage requirements on overseas flights are different than domestic. In some cases, carry-on baggage is restricted to one and can be a lot smaller than what is allowed on domestic flights. Your curling iron, phones and computers will need adapters for that country in order to be able to plug them in and use them. Curling irons and hair dryers especially will not only need a plug adapter but also a voltage converter. Newer electronic equipment may not need the converter if it says 100-240V. Check on whether you can use your debit card or credit card abroad. Some ATMs overseas require longer pin numbers, so you will need to change it before you leave. If you use your smart phone abroad , it can cost a lot, so be careful. You can check to see if your phone plan offers global messaging or if there are phone apps that offer international texting for reasonable fees. Use SKYPE instead for free service. Familiarize yourself with the driving rules of the road for that country. Things will be in kilometers instead of miles. In Australia, driving is on the left side of the road. As a visitor, you are to abide by the laws of that country. Remember you are a guest in a foreign land, not the United States. You will not have the protection of U.S. laws on your side. On your return to the U.S., you are required to declare everything that you bought overseas. If you exceed your personal exemption limit, you are expected to pay taxes and fees on those purchases when you go through customs. 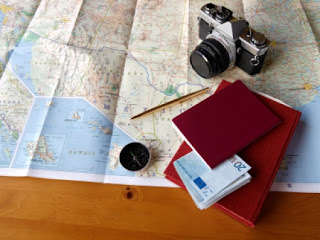 It pays to do the preparation for your bon voyage, otherwise you may find yourself in a difficult situation that you could have easily avoided.